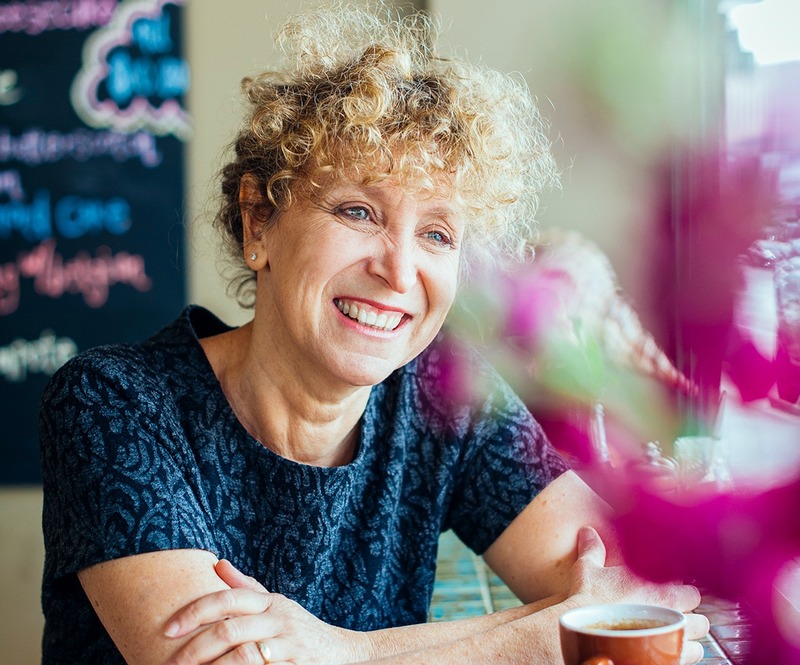 Author Leah Kaminsky, winner of the Voss Literary Prize, Australia’s premier literary award. The Voss Literary Prize—Australia’s premier literary award—was won by Dr. Leah Kaminsky last week for her debut novel The Waiting Room. Born in Melbourne to Holocaust survivor parents, Kaminsky is a practicing medical doctor who has lived and worked in Haifa. She is a mother of three and author of Writer MD, We’re All Going to Die and Stitching Things Together. The Waiting Room is an evocative tale, set in Haifa during one summer’s day. The principle character is Dina, herself a doctor, dealing with the trials and tribulations of Israeli life, demanding patients, the ever-present fear of terrorist attacks and the haunting memory of her mother—a constant and nagging voice who is depicted as a ghost. Although the plot unfolds over the course of a single day, the story covers five decades, three continents and one single family’s gripping history of love, war and survival. Kaminsky gave this exclusive interview to Moment senior editor Dina Gold shortly after the announcement of her award. We did not know of each others’ existence until summer 2016 and yet there is so much overlap in our thinking. Both of us, in our different ways, are haunted by our families’ Holocaust legacies. And we have both written about how we deal with that. It is doubly extraordinary that your principle character is called Dina. Six degrees of separation! I love the synchronicity of our overlapping stories—that’s what excites me so much as a writer, the way people are often so interconnected. I am interested in what unites us and the commonality of our humanity. And you write about this in Stolen Legacy, which ties in thematically with my novel, and the notion of what we inherit from the past, both emotionally and through the power that physical objects can hold for us. Let me start with what is probably the most frequently asked question. Is The Waiting Room autobiographical? I lived and worked as a doctor in Haifa, Israel’s third largest city, for ten years, up until the second intifada—so the setting, the smell of the bourekas and the sound of the streets are all drawn from my own experience. Haifa has always been a cross-cultural city—home to Russian emigres, Anglo Jews, Christians, Baha’is, Druze and Palestinians—who, for the most part, live in harmony. I’ve drawn on the diverse people I encountered during my time there, to create believable characters for The Waiting Room. Even though my protagonist Dina is an expat Australian doctor, whose mother is a Holocaust survivor, the similarity ends with that. My experiences are very different to those I have made my character live through and the challenges and obstacles she faces, thankfully, are something I never had to experience directly. The character you portray as Dina’s mother is such an ever-present personality throughout. Can you tell us more about her, and why you portrayed her as a ghost? She is the “eternal Jewish mother” who, despite the fact that she’s been dead for more than 20 years, follows her daughter around everywhere. She started off as a minor character in early drafts, but became very insistent and loquacious as the work developed. She is a metaphorical ghost, who haunts her daughter, kibitzing from the back seat of the car, or peeking around the corner of a shower curtain. She implores Dina, who was such a reluctant listener as a teenager, to bear witness to the past. If we don’t heed history, we are likely to repeat the same mistakes in the future. In an uncanny twist of fate, it is her mother who strangely ends up saving Dina’s life, persuading her that “love is more ferocious than terror,” and enabling her to find a way of living in a deeply divided world. As a doctor, can you tell us about trans-generational transfer of trauma? What are its characteristics? Describe how it manifests itself. In her seminal work, Children of the Holocaust, Helen Epstein explores the commonality of a range of emotions that children of Holocaust survivors may experience. I attended a unique conference around this theme in Jerusalem, back in 1988. Transgenerational trauma is a phenomenon shared by people who have been subjected to collective trauma, such as genocide, slavery or political enslavement, as well as individual trauma—victims of sexual violence or extreme poverty. Recent studies in the field of epigenetics have shown the potential correlation with a change in the genetic material of survivors somehow being passed on to subsequent generations, possibly predisposing them to higher rates of anxiety and depression, and PTSD following traumatic events. This is a nascent field and although fascinating, much more research needs to be done before we can draw any conclusions. The book has many light-hearted moments. It is not all doom and gloom, by any means! In writing this novel, was it a struggle to balance light and darkness in the narrative? 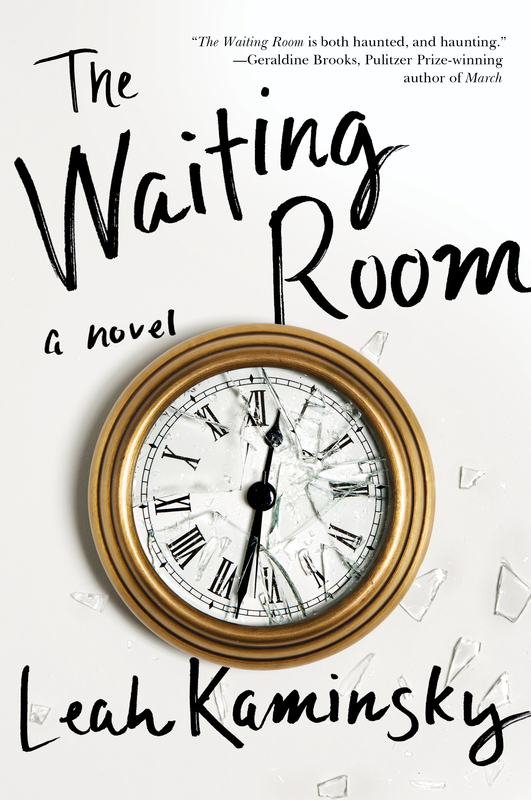 That was my biggest challenge in writing The Waiting Room, a novel that deals with themes of war, terror, remembrance and the vulnerability of human life. Finding the light in the narrative was crucial. If trauma can trickle down through generations, then so too, hopefully, must love, and that is where the true hope lies. Anyone who has ever been to Israel can attest to the resilience of people in the face of a protracted and ugly conflict. Humor is a powerful way of coping with the ongoing threat woven into the fabric of everyday life in the region. Tell us something of how you see the role of doctors in wartime. Doctors have, unfortunately, played a central role in many regimes. Physicians were the lynch pin of the Third Reich, overseeing not only the selection lines at the death camps, but also the scientific experimentation on humans and the acceptance of eugenics and mandatory sterilization for the disabled or mentally handicapped into the mainstream of medical science. Robert Jay Lifton’s powerful book, The Nazi Doctors, explores this at length. The complicity of physicians in state abuses and the genocide machines of many fascist regimes is truly frightening. While we have all heard of the likes of Dr. Mengele, it is the faceless health professionals involved who terrify me most. Do physicians have the moral agency and willingness to take action and do what is professionally and ethically right in situations of conflict? Those are some of the questions I implore my main character to reflect upon. The theme of waiting is ever present. Patients in the waiting room, the character of Dina, who is waiting to give birth. How do you explore the theme of waiting? We are all born waiting, in essence, for our lives to unfold before us. We wait to grow up, forge a career, find a partner, travel or have children. We can sit around the waiting room of life, alternating between staring passively at the ceiling and flipping through old magazines, or we can wait with intentionality, by taking action and making a difference in this world in ways that are important to us. A great interview to understand an author’s motivation! The words trauma and epigenetics caught my attention. The Jewish people do not have an exclusive on trauma; however, our history supports supports the fact that many have been persecuted since the beginning of time. Epigentic research at Stanford, Emory and Columbia may give us answers in the near future about how trauma is passed on in families. It will be significant. I truly enjoyed this interview. Learning about the writer’s background & thematic reasoning was enlighting. The issue of transgenerational trauma is definitely a psychology I’m interested in exploring in my own writing and work I do with families seeped in generational poverty. Also loved the quote on waiting… “For our lives to unfold” it’s a curious concept but so true. I put Dr. Kaminsky’s work in my Amazon basket as well as her other book mentions to further explore the Jewish experience. I was always fascinated with it since 6th grade but often we get wrapped up in the trauma experienced by one’s own culture & begin to forget that humanity is unfortunately riddled with traumatic experiences. An ever present travailing.